The next time you bite into a supermarket tomato and are less than impressed with the tart cardboard taste, blame aesthetics. A new study reveals that decades of breeding the fruits for uniform color have robbed them of a gene that boosts their sugar content. Farmers pluck the fruits from the vine before they are ripe, and for about 70 years breeders have selected tomatoes that are uniformly light green at that time. This makes it easier to spot the tomatoes that are ready to be harvested and ensures that, by the time they hit supermarket shelves, the fruits glow with an even red color. Wild varieties, in contrast, have dark green shoulders, and that makes it harder to determine the right time to harvest. In wild tomatoes, SlGLK2 (the Golden 2-like transcriptor factor behind the color change) increases the formation of chloroplasts, the compartments in plant cells that carry out photosynthesis. Chloroplasts use a green pigment, chlorophyll, to capture the sunlight plants need to grow. A higher number of chloroplasts gives wild tomatoes their darker green color. In most tomatoes on supermarket shelves, however, SlGLK2 is inactive. While the mutation was beneficial to farmers, it's not such a sweet deal for consumers. Chloroplasts use the light energy they capture to convert carbon dioxide and water into sugars. Tomatoes with a mutated SlGLK2 gene not only have fewer chloroplasts, they also sport less sugar. So far, this is just a hypothesis. The real culprit affecting tomato flavor could also be a production system that picks tomatoes before they are ripe. Read the paper in Science 29 June 2012: Vol. 336 no. 6089 pp. 1711-1715 DOI: 10.1126/science.1222218. Today is the 300th anniversary of Jean-Jacques Rousseau, philosopher, pedagogue, author, composer and botanist, born in Geneva on 28 June 1712. Rousseau became famous in 1750. The Academy of Dijon held a competition for academics to answer the question whether the boom of the sciences helped to "improve morality." The answer Rousseau provided in his essay Discours sur les Sciences et les Arts shocked Europe and instantly made him famous. He won the competition with the disturbing notion that the development of civilization was in truth a story of decline and decay: in his "natural state" man lives independently and freely, but in society he is like a slave in increasingly tight chains — the evil lies in the essence of society. This provoked a scandal in this age of Enlightenment that celebrated the continuous, indeed inevitable, improvement of life by science and technology. At age 50 he published his novel Emile on pedagogy (and the profession of a religion without a church) and his philosophical treatise Contrat Social on the reconciliation of human nature with political rule. 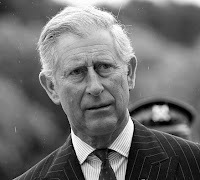 He wrote: "The problem is to find a form of association in which each, while uniting himself with all, may still obey himself alone, and remain as free as before." Only the law should be above the individual. The books were burnt under a parliamentary decree in the courtyard of the Palace of Justice in Paris, and on 9 June 1762, Rousseau fled from Paris to his native Geneva, where this time his books were burnt in front of the city hall and he was declared persona non grata. Rousseau did not propose solutions, he unveiled paradoxes. His arch-enemy Voltaire summed it up with a marginal note he wrote in one of Rousseau's books: "You always exaggerate everything." It took until his 200th anniversary in 1912 to be accepted with Dunant and Calvin as one of the embodiments of the esprit de Genève. Today he is considered a forefather of environmentalism and the occupy movements, but his main message is that we continuously fail to meet our own expectations. Society has changed: Rousseau's estate is now part of UNESCO's world heritage. Berberine is strongly yellow colored, which is why in earlier times Berberis species were used to dye wool, leather and wood. Wool is still today dyed with berberine in northern India. Under ultraviolet light, berberine shows a strong yellow fluorescence. Because of this it is used in histology for staining heparin in mast cells. As a natural dye, berberine has a Colour Index (CI) of 75160. Berberine is a quaternary ammonium salt from the protoberberine group of isoquinoline alkaloids. It is found in such plants as Berberis (e.g. Berberis aquifolium (Oregon grape), Berberis vulgaris (Barberry), and Berberis aristata (Tree Turmeric)) and Coptis chinensis (Chinese Goldthread, Huang-Lian, Huang-Lien), and to a smaller extent in Eschscholzia californica (Californian Poppy). Berberine is usually found in the roots, rhizomes, stems, and bark. Recent progress in metagenomcs (databases, mathematical algorithms, modeling approaches, and software packages for the study of the gut microbiome) has lead to the suspicion that one cause for obesity might be the lack of sufficient Coptis chinensis in the diet. Are you fat? Check your yellowness. I wrote several times, that inventions rarely come from a stroke of genius. We are pack animals, and science is a common understanding of the physical world around us, not the physical world itself. Researchers work hard to further our understanding of the world and to uncover new synergies, creating sort of an ether of knowledge. This also includes tools and technologies to further this knowledge. From time to time, in this ether local areas condensate and great insights are born. When considered in retrospect, these insights look like strokes of genius, but they would not have been possible without a maturity attained in a certain context, or the availability of new tools. Because of this, I like to say that ideas and inventions reach a point in time when they are ripe, and the first to recognize them is the inventor. This perspective instills a sense of urgency, because if you dither with your invention, somebody else will beat you. In the old era of big science and large industrial laboratories, only an elite had sufficient exposure to this ether to make groundbreaking inventions. Through conferences and journals it was more or less known who works on what, and it was possible to time the filing of patents, for example so that an application is laid open the day the Tokyo Data Show opens, where a new product is unveiled. Today, when due to the disappearance of advanced research there is less differentiation from vendor to vendor, product introductions are rarely timed to industrial fairs, but released as soon as they are ready. In computer technology for example, there are no longer a few thousand R&D personnel, but hundreds of thousands if not millions; Apple alone claims to have created 210,000 iOS app economy jobs in the US. This huge number of technologists, combined with the increased litigation for patent infringements and the proliferation of non-practicing entities (NPE) and other patent trolls, impinges an even greater sense of urgency on protecting one's intellectual assets as fast as possible. National patent agencies support this urgency through the introduction of new processes for accelerated protection mechanisms. 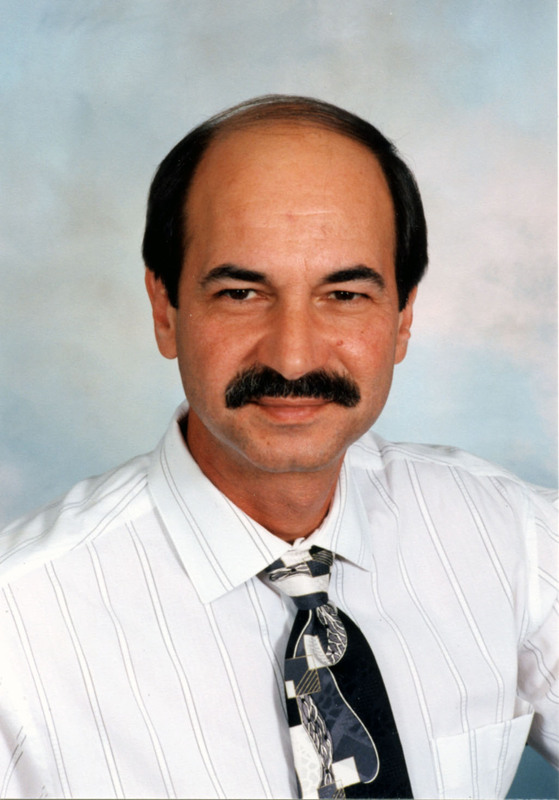 Patents are not necessarily the only form of protection for one's research investment. In Switzerland, the Swiss National Science Foundation encourages patent protection mostly for inventions that are either very fundamental, or are easy to replicate. For all other inventions the recommendation is to save the money that would be spent in patent application and maintenance fees and spend it instead on the salaries for additional researchers. The reasoning is that an agile well-managed enterprise can generate new products faster than the competition can copy them, hence a defensive publication is more efficient than a patent. In the US, the law protected the first to invent, not the first to file, so in general companies were sometimes a little slower than Swiss companies. However, this has recently changed. 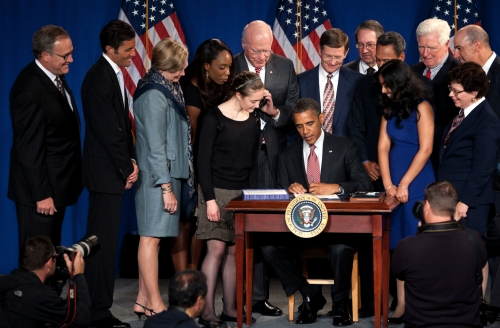 This picture taken September 16, 2011 at Thomas Jefferson High School for Science and Technology in Alexandria, Virginia, shows President Obama signing the America Invents Act, historic patent reform legislation that is helping American entrepreneurs and businesses bring their inventions to market sooner. A fast track option for Patent Processing within 12 Months: Instead of an average wait time of almost three years, the Patent and Trademark Office will be able to offer startups and growing companies an opportunity to have important patents reviewed in one-third the time – with a new fast track option that has a guaranteed 12-month turnaround. Patent ownership is a critical factor venture capital companies consider when investing in entrepreneurs hoping to grow their business. Increasing the ability of American Inventors to protect their IP abroad: The new law harmonizes the American patent process with the rest of the world to make it more efficient and predictable, and make it easier for entrepreneurs to simultaneously market products in the U.S. and for exporting abroad. The Patent and Trademark Office has also expanded work-sharing with other patent offices around the world to increase efficiency and speed patent processing for applicants seeking protection in multiple jurisdictions. Commercial color print workflows sometimes require manual intervention to adjust colors, for example to change a background color or the color of rules. Instead of aborting the job, sometimes the color can be changed on the fly. 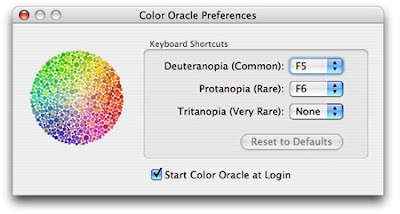 Typically this is accomplished with a color selection tool running on a mobile device, such as a pad computer or a smart phone. 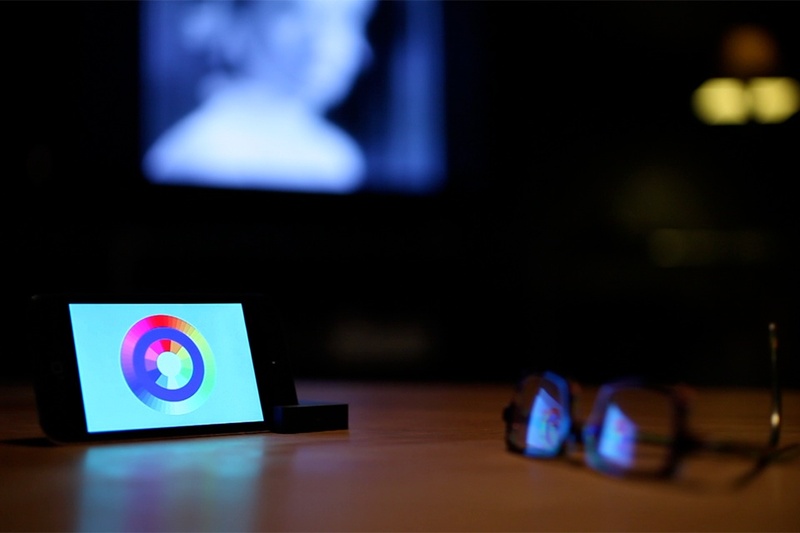 Mobile color selection tools can use the built-in motion sensors for input. For output, due to the limited available screen space, the systems just show a swatch and maybe a color name. We describe a new output design that is well-tailored to motion-sensor based input. Using the right user interface paradigm allows users to work more efficiently, thus cutting costs and increasing profits. Sometimes a print job requires changing a solid color, for example when the halftoning algorithm creates an unexpected interference pattern (moiré) or when the color does not print well on the particular media. It is then necessary to abort the job and send it back to the client. Such an issue can delay a job for days, possibly causing problems with the service level agreement (SLA). The previous generation devices like laptops and tablet computers used a graphical user interface (GUI) metaphor known as WIMP, for windows, icons, menus (or mice) and pointing devices. Current mobile devices like slates and smart phones, use a different GUI paradigm known as MPG, for multi-touch, physics and gestures. As we move beyond WIMPs, the visual feedback metaphors are no longer adequate, because they are optimized for a mouse moving on a two-dimensional plane. 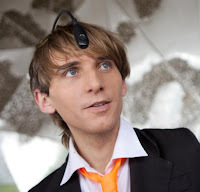 Current mobile devices have built-in accelerometers and gyroscopes. With them, movement between points on a plane is replaced with roll, yaw, pitch, and translational movements in three-dimensional space (see this earlier post for an informative video). In this particular implementation, the GUI consists of a colored patch and the color term. 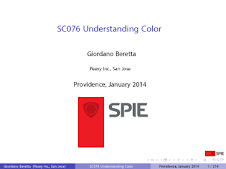 We can provide visual feedback for MPG color selection tools using a rivet metaphor. A rivet is a short metal pin or bolt for holding together two plates of metal, its headless end being beaten out or pressed down when in place. Here are two examples of rivets. Left: Round head. Right: flat head. Regardless of how the MPG GUI maps the Tait–Bryan angles yaw, pitch and roll, as well as translational movements and acceleration into color specifications, either absolute or relative, we use the image of a rivet to provide feedback. The rivet head provides feedback on the total available color gamut and the hue at the center of the edge towards the user indicates the currently selected hue correlate. The length of the cylindrical shaft indicates the currently selected lightness correlate. The shaft diameter indicates the chroma correlate. We anticipate that the user can easily learn the correspondence between MPG input and the effect on the color selection process, thus providing a very effective tool. The figure below shows the current state of the art for WIMP operating systems. 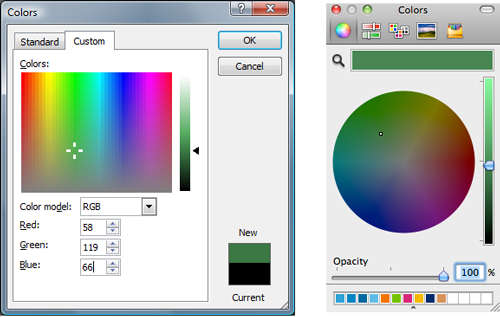 The left window is from the Windows operating system, where the color selection tool has three panels. On the bottom right is a panel showing a patch with the currently selected color and the previous selection. On the bottom left are the RGB counts. The top left is the graphical color selection panel. Regarding color selection tools in applications, they mostly use the tool provided by the operating system. One notable exception is the color selection tool in Photoshop. This application actually has two color selection tools, one simple and fast for the experienced user, and one more detailed for careful color selection. We describe first the simple tool at the left of the figure below and then the detailed tool at the right. The simple tool has three panels: a sample patch (actually two: one each for foreground and background), a set of three sliders for RGB counts, and a complex graphical single point selection panel. The single point panel is a rectangle where the abscissa is a correlate for perceived hue. 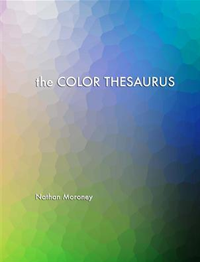 The ordinate is a correlate of saturation, which contains both lightness and chroma. 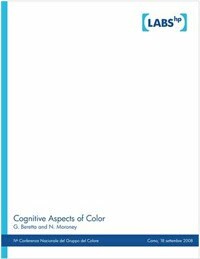 This hue–saturation paradigm allows color specification through a single two-dimensional point, at a possibly increased cognitive cost. The larger window at the right side of the above figure is Photoshop's detailed color selection tool. On the top right we note the split old and new color patches as in the Windows tool. The slider in the middle is used to select the hue, while the chroma and lightness are selected in the large square at the left. In this square, the abscissa is a correlate of chroma, while the ordinate is a correlate of lightness. 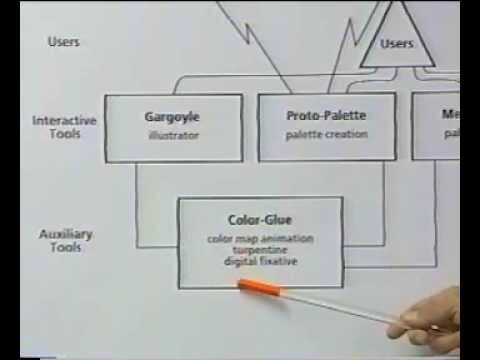 All these tools have evolved from the early days of color GUIs and are optimized for input on a two-dimensional surface with a mouse. The slider interfaces are actually older, when the early interactive graphics workstations had dials for data entry. Like everywhere else in our lives, also on the print shop floor we transitioned from desktop and laptop computers to mobile devices like pads and smart phones. Parallel to this transition is the paradigm shift from WIMP to MPG GUIs and the visual feedback for three-dimensional input devices must be different from that for two-dimensional devices. We use a feedback mechanism in the approximate shape of a rivet, which can change its location and orientation in space in accordance to user gestures. This mechanism changes its appearance according to the color being selected. The rivet head represents the color gamut. 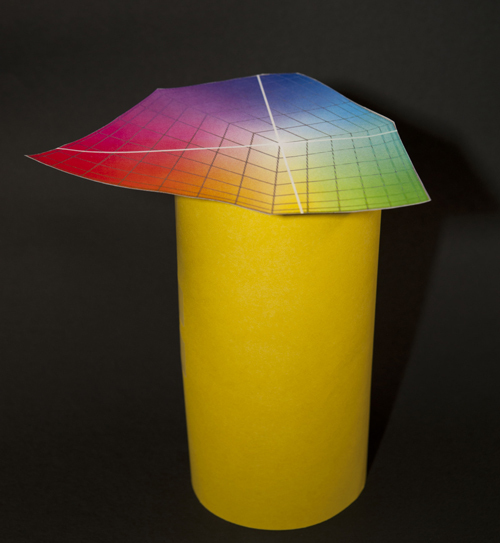 It can be either a flat head showing the gamut in a chromaticity diagram, or a three-dimensional head showing the full gamut (with transparency to optionally mark the currently selected color). When users change the hue through a gesture, the rivet rotates along its symmetry axis, so that the currently selected hue is always pointed towards the user. The shaft is used to represent chroma and lightness. The shaft length is proportional to the current selection's lightness and the shaft diameter is proportional to the current selection's chroma. The shaft itself is colored in the current selection's color. Yaw, pitch, and roll, also known as Tait-Bryan angles, named after Peter Guthrie Tait and George H. Bryan, are a specific kind of Euler angles used to define the relative orientation of an object with respect to some reference orientation, usually a set of reference axes. The three angles specified in this formulation are defined as the roll angle, pitch angle, and yaw angle. Yaw, pitch and roll are used in mobile devices where the object in question is the handheld device itself. The figure below illustrates the Tait-Bryan angles. They can be statically defined using a line of nodes constructed by the intersection of two non-homologous planes (for example XZ and xy are not homologous planes), unlike proper Euler angles which use homologous planes (for example XZ and xz). This second kind of Euler angles is such as it is equivalent to three rotations composed with a different axis, z-y-x for example. There are therefore six possibilities of this kind (xyz, xzy, zxy, zyx, yzx, yxz). They behave slightly differently than Euler angles. In the zyx case, the two first rotations determine the line of nodes and the axis x, and the third rotation is around the axis x. Because the line of nodes is the intersection of two non-homologous planes the pitch angle is measured from the horizontal plane instead of the vertical axis. Therefore this kind of construction would give a pitch equal to zero for an airplane flying horizontally while the first kind of Euler angles would assign it an angle of π/2. Yaw, pitch and roll are used in aerospace to define rotations between a reference axis system (world frame) and a vehicle-fixed axis system (body frame), which in the context of an aircraft sometimes are called its heading, elevation and bank. Consider an aircraft-body coordinate system (body frame) with axes XYZ which is fixed to the vehicle, rotating and translating with it. This intrinsic frame of the vehicle, XYZ system, is oriented such that the X-axis points forward along some convenient reference line along the body, the Y-axis points to the right of the vehicle along the wing, and the Z-axis points downward to form an orthogonal right-handed system. Consider a second coordinate system (world frame) with axes xyz, aligned having x pointing in the direction of true north, y pointing to true east, and the z-axis pointing down, normal to the local horizontal direction. The motion of an aircraft is often described in terms of rotation about these axes, so rotation about the X-axis is called rolling, rotation about the Y-axis is called pitching, and rotation about the Z-axis is called yawing. The equivalent MPG feedback to the WIMP feedback in the above figures is shown on the top side of the figure below. In this example we use the flat head rivet metaphor from the right side of rivet figure above. 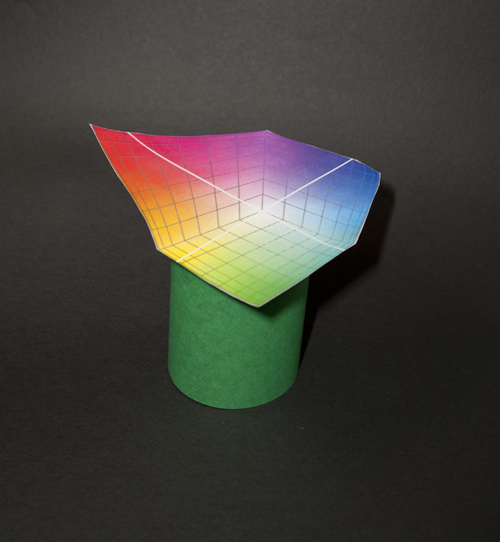 It is obvious how to generalize to the three-dimensional gamut as mentioned earlier. 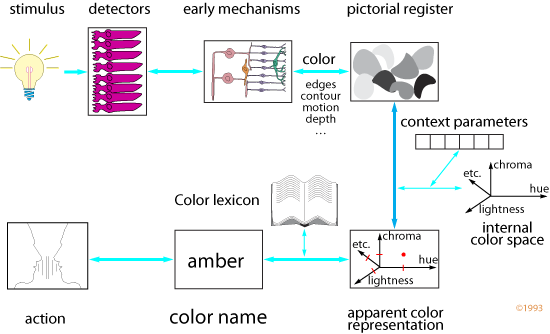 In this case the gamut is a chromaticity diagram, referring to a ZR-class HP display. 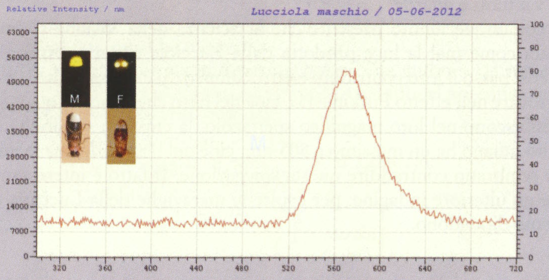 Since CIELAB does not have a chromaticity diagram, we use the CIELUV space. 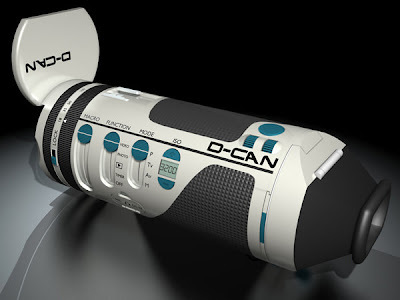 For a most sophisticated feedback, a color appearance space like CIECAM02 could be used, rendered with transparency to show the position of the mark for the selected color. For a simpler feedback, the rivet could be displayed in a pure frontal projection, with a hue ribbon lining the flat head edge. In the higher figure above, the rivet is rotated along the symmetry axis so that the same green as in the color selection tool figures at the beginning is in the front. The shaft is colored in this green, its diameter corresponds to the chroma and the length to the lightness. The lower of the above figure shows what happens when the user moves the mobile device to select a yellow color. The head rotates so that yellow is now on front. The shaft is colored in this yellow and has become longer and thicker. The left and right sides of the figure are at the same scale. In summary, I have described how the feedback for color selection tools for a WIMP GUI are not adequate for mobile devices, which make extensive use of MPG GUIs. I have presented a rivet metaphor that provides a much more ergonomic representation of the color selection tool's state. This radically new representation allows print shops to work faster and more reliably when they have to select or modify colors, thus preventing a disruption of the workflow. Providing a commercial print workflow with superior tools will cut costs due to workflow exceptions and maximize the press owner's profits. A successful customer will buy additional presses from the vendor and use more consumables. In a recent press release, Danaher Corporation on 2200 Pennsylvania Avenue, NW in Washington, D.C. announced that it purchased X-Rite for approximately $625 million. X-Rite had purchased Pantone and Gretag, and the latter had purchased Macbeth. Danaher already owns well-known brands like Tektronix, Fluke, Leica Microsystems, Beckman Coulter, Videojet, and Esco (a leader in industrial digital printing) among others. In last month's post on conscious awareness I mentioned Kathy Mullen's work using an fMRI machine in Australia. Although that machine is one of the finest available, it is still a blunt instrument, but that it is all we can do with humans, where we are limited to non-invasive procedures.